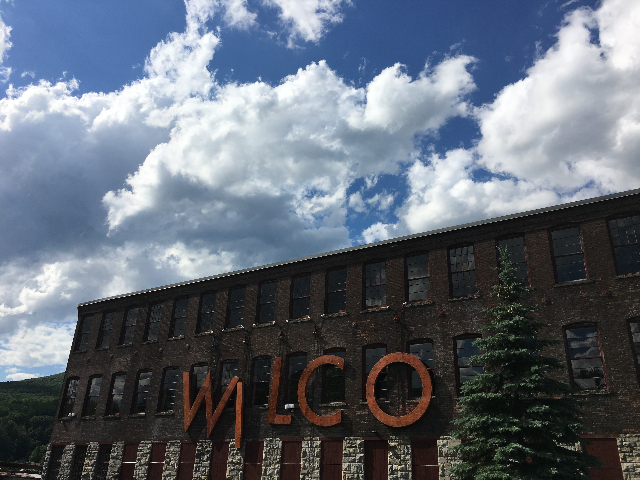 When you step into Wilco’s second home base, at MASS MoCA, in North Adams, Massachusetts, you know that you can leave all of your worries at home. 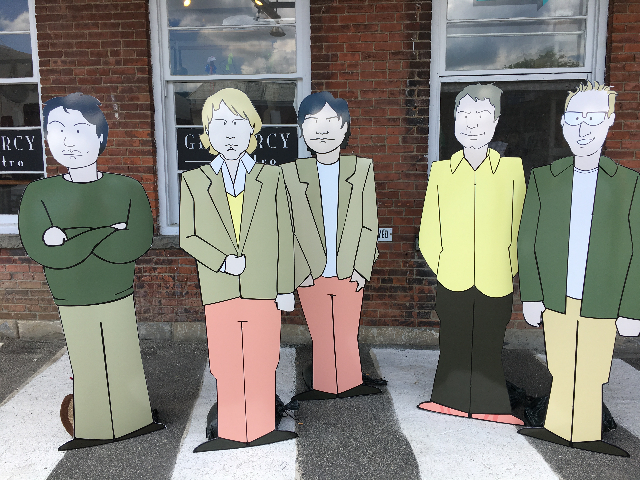 It's time to enter ‘Wilco World,’ where they frolic for 72 hours. 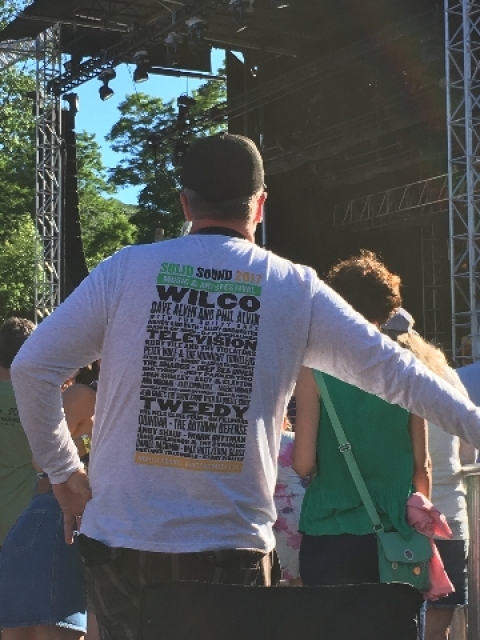 The ground rules for Jeff Tweedy and Wilco are simple-perform for three days in a row_- and watch over the selected musicians that you invite. 2017 was the fifth installment of the Solid Sound Festival. It was a record breaking year; Sold Out with 8,500 attendees. It felt over crowded this year. The vibe was the same, but, what was different was the energy the crowd had. It was sort of like magnets when any performer took to the stage. A polar force pulled the crowd forward. That forced those seated to stand for complete sets spanning two and a half hours. The result was pure magic but a bit of a strain on the bones of older fans. The 8,500 fans at Joe’s Field felt emotion and joy each time Tweedy serenaded the audience in a fashion that few can match. Solid Sound is special and each fan knew that they are members of an elite three day club that revolves around the river Wilco and its musical tributaries. With over an hour left during their slot, Tweedy quietly told the audience that this was their lucky night. He said, ‘We are going to play a second complete album, the album that got us here tonight, ‘Yankee Hotel Foxtrot.’. The standing room crowd applauded ceremoniously, cat whistled and sang for joy, as this indeed was their ‘lucky night.’ It was a once in a lifetime experience and the crowd knew it. The applause were so loud it felt like you could hear them clapping in Chicago, Wilco's home town. As the concert ended, a feeling of unity stretched throughout the audience. We experienced an event likely never be repeated in our lifetime. Day two featured appearances by well known Peter Wolf of J. Geils Band, the Televison reunion and The Shaggs. They set the stage for free-form-Wilco, performing three hours of their favorite songs, deep tracks included. The crowd was memorialized as their favorite tracks were brought to life. 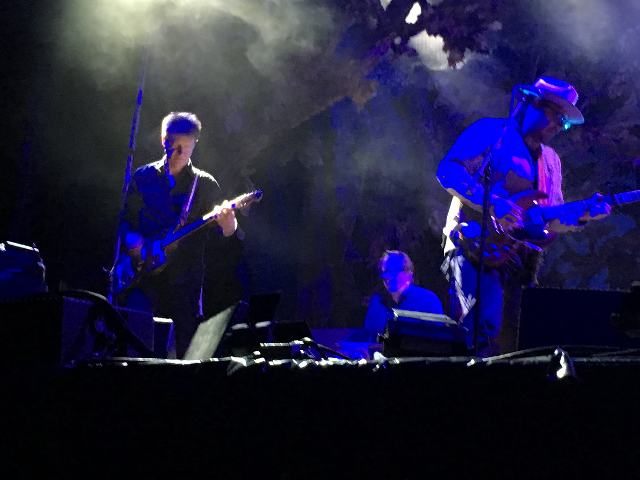 Tweedy joked with the audience throughout the night, saying this set would not include any songs from ‘Yankee Tango Foxtrot’ and ‘Being There.’ The audience certainly understood his message and grooved to the ambitious set of past and present Wilco songs. I would be remiss if I didn’t point out that the bands and individuals chosen by Wilco to perform during the weekend were as captivating as Wilco. Besides well known, Television and Peter Wolf, new world entertainers performed. Keep your eyes on Kevin Morby, Andy Shauf, Big Thief, Jeff Parker, The Robert Gasper Experiment and Dawn of Midi. 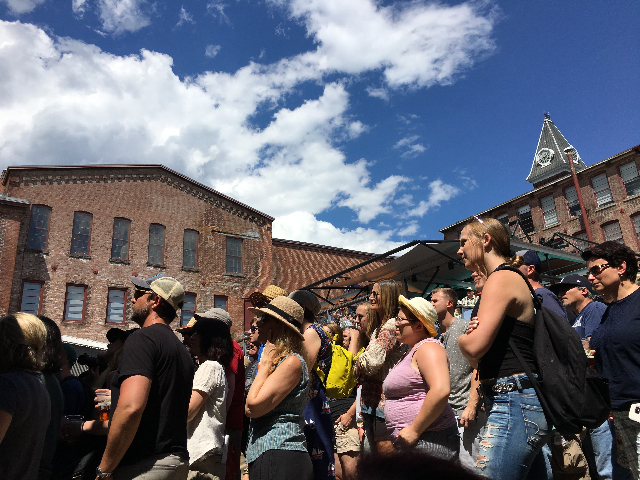 The weekend ended with an amazing array of performers, including a full house for food critic, Mark Bittman and a crowd that wanted their last glimpse of Jeff Tweedy, playing a moving set with his son, Spencer, the drummer and friends. There are only 730 days until the 2019 Solid Sound Festival.